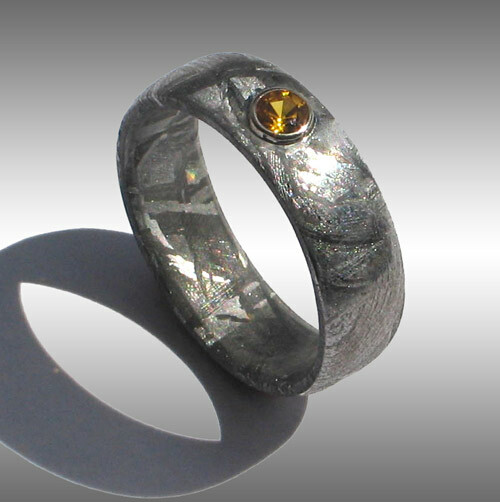 Style #064: Lovely Gibeon Meteorite Ring set with beautiful 3mm yellow Chatham sapphire. This unique ring is shown with Widmanstatten pattern on both the interior and exterior. Polished interior also available. Shown in a size 6 x 6mm width. Please enquire for current pricing! ! !